We’ve got Spring on the brain at the moment. 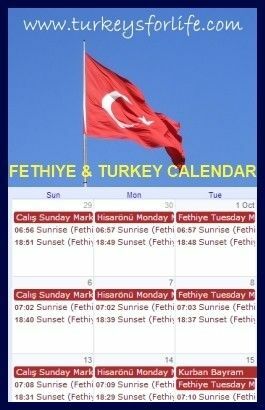 The weather in Fethiye is gradually losing its biting winter chill and opening the curtains to beautiful sunshine in the mornings kick-starts us into action. It’s spring-cleaning weather, trekking weather and eating-Turkish-meze-dishes-on-the-balcony weather. Okay, we might be getting a bit ahead of ourselves; it’s actually still a bit chilly on our balcony but we just can’t help ourselves. At the moment, the urge to follow and adapt summery Turkish recipes is too great. Mercimek köfte (lentil balls) is a perfect summer dish to place on the table along with other meze plates when you have friends round to visit. They’re traditionally eaten with lettuce and a squeeze of lemon juice but we had chard in the fridge this week so we used that instead. If you’ve got vegetarian friends, like we have, they’ll love you for serving this up. We first had mercimek köfte about 10 years ago at a friend’s house. Being highly non-vegetarian, I was really interested in them because both of us actually enjoyed eating them (we’ve only really discovered the joy of vegetables and other meat-free foods since coming to Fethiye), they were filling…and they looked pretty impressive. The recipe that our friend was using was her husband’s mum’s (a fantastic cook) and she wrote it down for me. Two days ago, I blew the dust off the paper and made mercimek köfte for the first time. The reason it took so long was because a lot of Turkish recipes tend to be quite vague. Measurements are not the be all and end all to a Turkish dish because people know by sight when a dish is right and ingredients are added or taken away to suit tastes. I looked at many recipes for mercimek köfte and none of them told me how much water to use. ‘Just enough water’ was the usual sentence I came across. What’s ‘just enough water’? Well, I guess you know exactly what ‘just enough water’ is when you’ve been making these dishes all your life. Fortunately, our trusty Turkish recipe book, Turkish Cookery came to the rescue by giving me a rough idea: 3 to 4 glasses of water. Great. Something to work with. 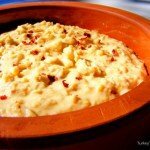 This is how I made mercimek köftesi. Fill a rakı glass with red lentils and add to a pan. As the lentils cook and the water is beginning to reduce, add a pinch of salt, a small, finely chopped onion and a dessert spoonful of red pepper paste. (Tomato paste is fine if you can’t get red pepper paste.) I also added chilli flakes at this point. When you stir and the bubbles come straight back to the surface (see photo above) because the liquid is much-reduced, fill your rakı glass with fine bulgur wheat, add to the pan and stir it in. Remove the pan from the heat and leave to stand for 10 minutes with the lid on. The bulgur wheat will absorb the remaining liquid. After 10 minutes, add a handful of chopped parsley and dill, mixed. Mix it all together and leave to stand until the mixture has cooled. Now you can get your hands in, take little balls of the mixture and shape them into mercimek köfte and, if you’re making them for friends, make an impressive display. Place a köfte in a lettuce leaf, squeeze fresh lemon juice over it, wrap it up, eat it. Repeat until you’ve eaten the lot! Mercimek köfte and sea bream. Is that allowed? And this is probably very untraditional but we decided mercimek köfte might go quite well as a side dish to grilled, breaded sea bream. We were right. Wednesday night’s evening meal was more than satisfactory. I am always envious of cooks who can cook by their senses. I don’t happen to be one of them so need cup measurements.These kofte look and sound wonderful by the way. Great recipe! I love lentils and this is something new I’d love to try out. Looks yums! @ ping: It is yums! Maybe I shouldn’t make so many next time though. I hear you – being “highly non-vegetarian” for most my life – I’m now discovering all these great vegetarian dishes – like this! Looks yum – need to try it. Happy spring coming! @ Belinda: Amazing how non-meaty food can be edible isn’t it? 🙂 We still love our meat but it’s nice to be able to enjoy other foods too. Yes, can’t wait for spring to arrive properly! @ Anonymous: We really enjoyed these mercimek kofte because it’s such a long time since we had them. I made these once but boiled too much lentils, I had enough Mercimek Köftesi to start selling at the shuk. Needless to say I wasn’t in any hurry to make them again until your post. Looks very yummy, especially decorated with the fish.